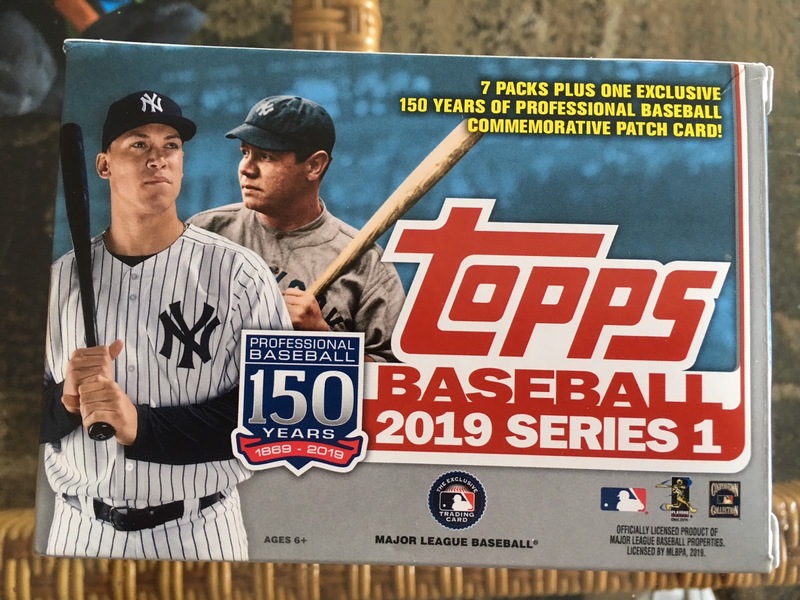 I purchased a box today that contained 7 - 14 card packs and a pack that contains a 150 Years of Professional Baseball Commemorative Patch. 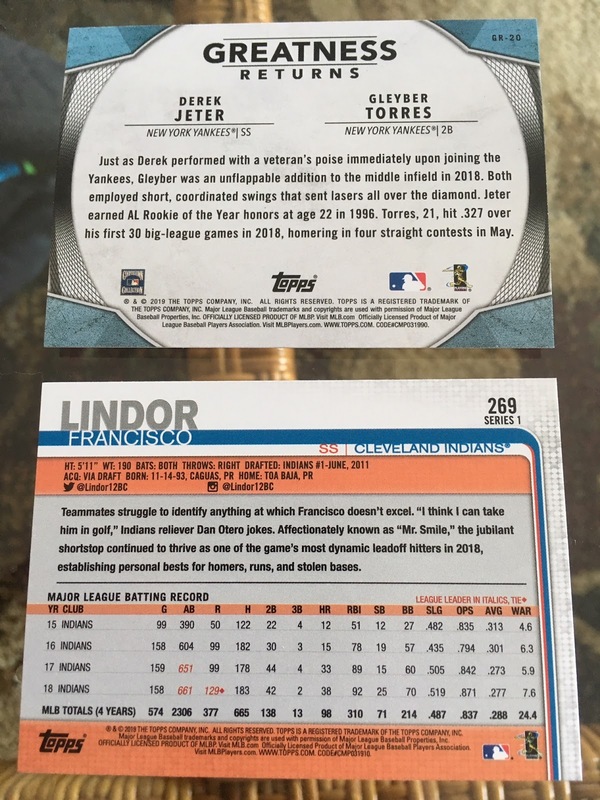 Here is what the box, and the packs look like. 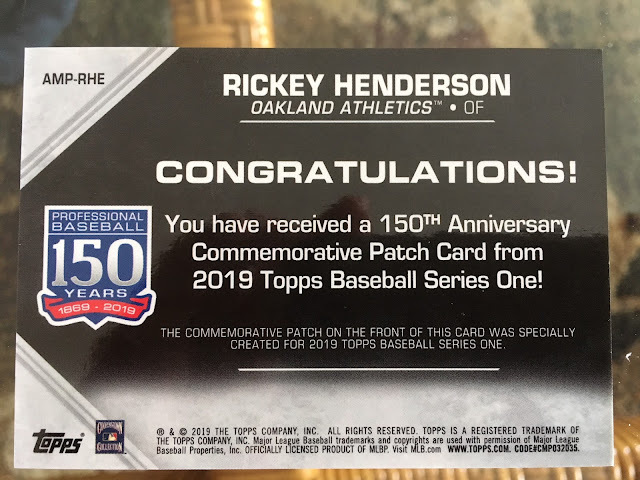 I'm not a big fan of the Manu-patches and was hoping to get a Trout but no luck there. But a Rickey Henderson I guess I could have done worse, See the card below front and back. 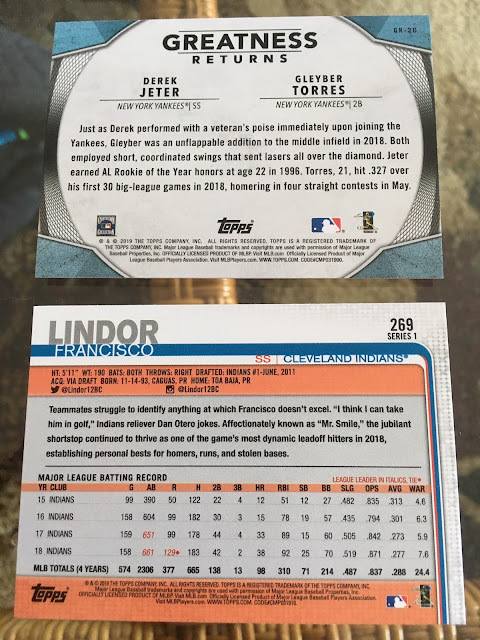 Here are the cards from one of the 14 card packs with the best insert as for the rest of the cards nothing great could all be had in dime boxes at the next show I go to, I like the design and the photography is great a lot of nice in action stuff. 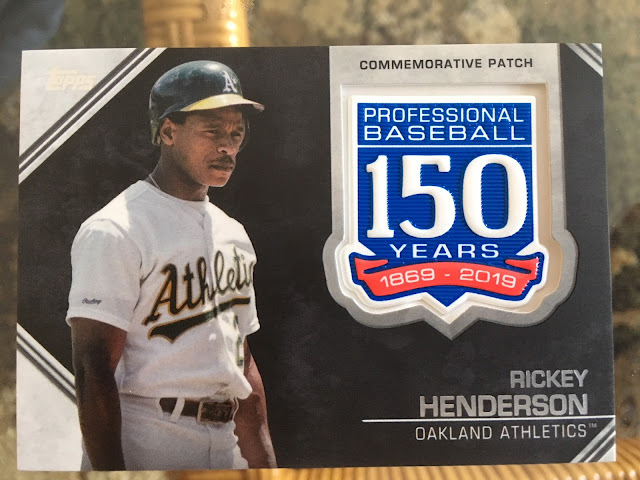 I never complain about Rickey Henderson cards but they didn't do him any favors with that photo.